Filmfare Awards, Star Screen Awards, Zee Cine Awards, IIFA, Stardust Awards, Apsara Awards, National Awards and many more awards are there to celebrate excellence in Hindi cinema today. However, the big question here is whether these awards actually salute excellence or reflect the popularity of the year’s blockbusters in competition. The credibility of these awards is a different matter altogether; actors and filmmakers have often accused organizers of playing favourites, selling trophies and pleasing the powerful. These days, new categories are introduced to please some stars and sponsors, all in the name of encouraging talent and public voting! Leaving aside the credibility issue, the biggest question any awards ceremony needs to address is what they stand for; are they going to felicitate the biggest hit or a technically superior film that may not have set the box office on fire. One school of thought is purely merit based, where big and small films compete on the same platform and the same judgment parameters apply to all. Public voting system may not work well here as whenever you try to go mass, the stars’ emotional connect and popular appeal may take over. The only possible solution is having a qualified jury based judging process like our National Awards and the Star Screen Awards; though there are always questions on the jury’s decisions. Internationally also the most prestigious awards are jury based, like the Oscars, which have a much more complicated judging process and a much larger jury. These merit based awards help smaller, well-made films gain recognition and some more business. In fact, success at Oscars have helped some small films reach blockbuster status; case in point, Slumdog Millionaire. The flipside to this process is that many popular films are overlooked and the fans are left disappointed. At last year’s Oscars, James Cameron’s magnum opus, Avatar was beaten by a much smaller film, The Hurt Locker for the Best Picture trophy. The masses who had loved Avatar had not even heard of The Hurt Locker and many had complained of it being boring. 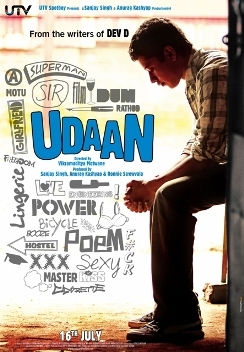 This year the same thing happened at the Star Screen Awards where the year’s biggest hit, Dabangg did not find a nomination in the Best Film shortlist and a lesser seen but much superior film, Udaan won the big prize. Declaration: The author of this article has grown up watching film awards and has almost always enjoyed them. He wakes up at odd hours to catch the Oscars and stays up late to watch the star-studded Bolly film awards that come with never ending commercial breaks. In the last few years, he has been disappointed with the state of Hindi film awards but has not lost faith. He is also part of the TwiFi Awards’ Film Buff Jury.